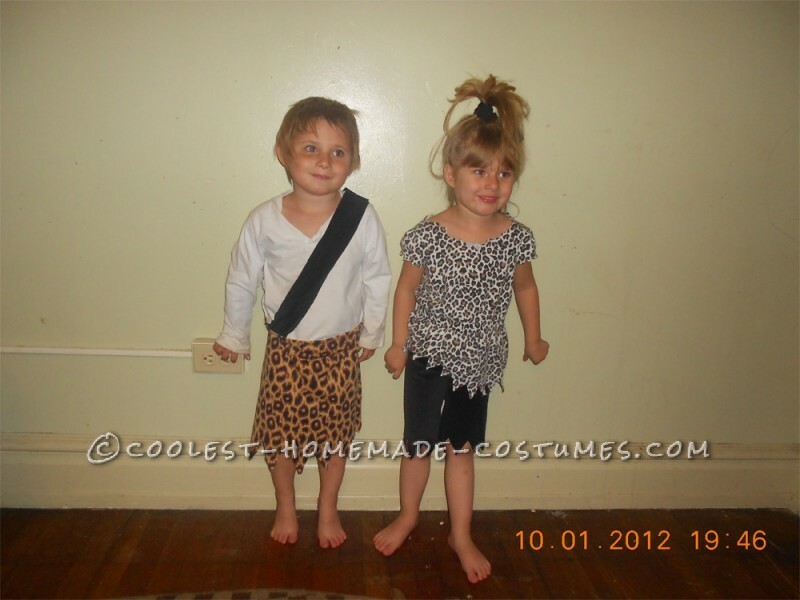 These are my children’s Pebbles and Bamm Bamm homemade Halloween costumes..
Four year old Pebbles – pants were hand-sewn out of felt material (measurements were made by guesswork). Top – Over sized leopard print T-shirt cut up. And hair tie- bone molded out of playdoh and left to harden for a week ten glued onto a scrunchie. 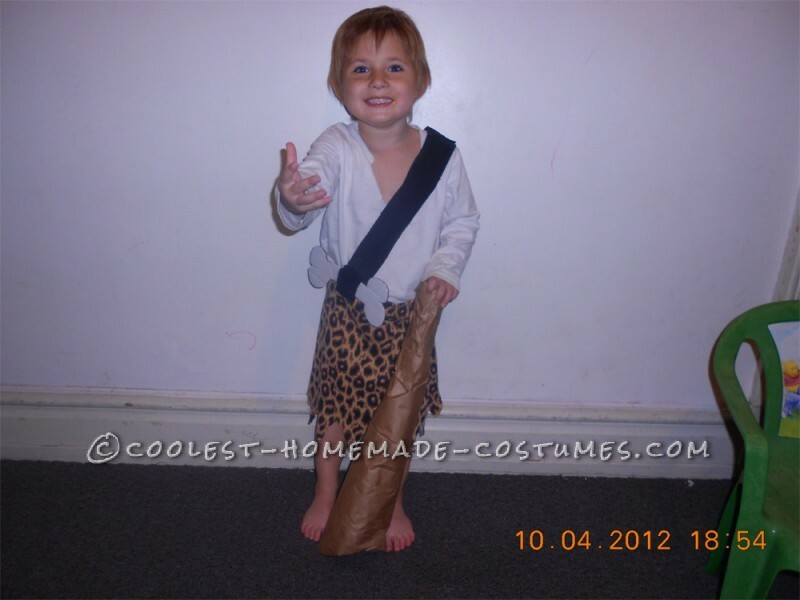 Three year old Bamm Bamm – leopard print dress cut and resewn onto a long sleeved white shirt (for warmth). Black sash made from leftover felt material and sewn onto shirt. Bone made of cardboard sewn to sash. First time creating my kids costumes and I had a blast.